The Monster Mile of Dover International Speedway may have been a monster flop in television viewership, per Sports Media Watch. Sunday’s NASCAR Sprint Cup race on Fox Sports 1 earned the race’s lowest Nielsen rating in a decade. 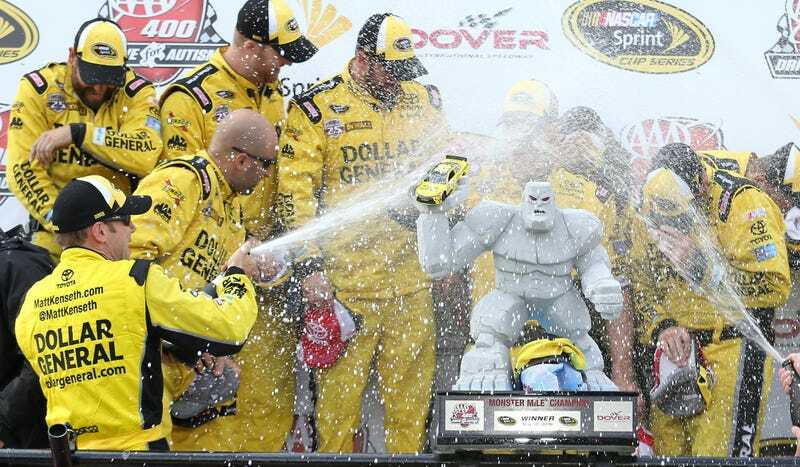 NASCAR Sprint Cup racing from Dover earned a 2.2 overnight rating on Fox Sports 1 Sunday afternoon, down a tick from last year (2.3) and down a third from 2014 on the FOX broadcast network (3.3). The 2.2 is the lowest for the race in at least a decade, falling below last year. Eight out of ten races this year have suffered a drop in ratings from 2015, writes Sports Media Watch. The two Sprint Cup races that bucked that trend were Kansas the prior weekend, which was was up 20% in Nielsen-metered markets, and Talladega. That trend didn’t last, though. Seven races this year have either set or tied a multi-year low rating for viewership. Thus, if NASCAR decides to implement a radically wacky format change to boost ratings, we only have ourselves to blame.